An information chart is included for easy selection of the correct brush size and filament texture. 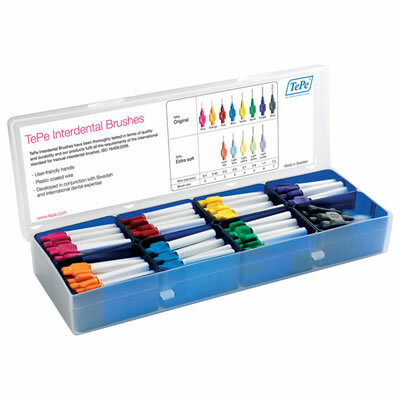 TePe’s interdental brushes have plastic coated wire to prevent scratching tooth surfaces, orthodontic appliances, or implant posts. The specially selected filaments ensure efficient cleaning and durability. The ergonomic handle offers a comfortable grip and good cleaning control.